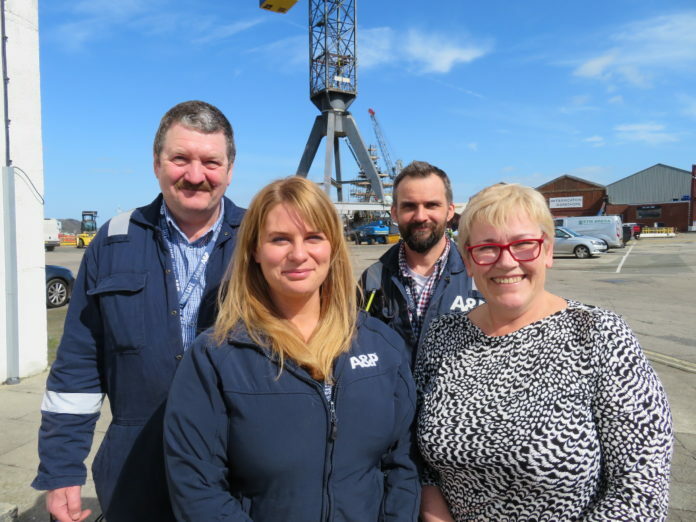 A&P Falmouth has bolstered its quality team with a series of in-house appointments and a new recruit. Ivan Tweedy has joined as a welding quality manager, after relocating from the north east. Tweedy has experience working as a CSWIP welding quality coordinator and senior welding onspector and is highly experienced in complex steel fabrication. Four members of A&P Falmouth’s existing workforce have also joined the quality team – Matt Van De Heuvel joins from A&P Falmouth’s fabrication department, where he has worked for the last 18 years; Adam Billings joins the team as quality coordinator/maintenance administrator after working alongside the MARS UKCATTS team on the Tide Class vessels to collate all quality assurance documentation. Two of A&P Falmouth’s newest recruits, Jessica Harrison and Nicole Peart, have also joined the team as QA/procurement administration support and HSEQ compliance and audit co-ordinator respectively. The quality team is led by group HSEQ director, Kevin Peart, who said: “We have invested heavily in our HSEQ systems and processes over the last year and now, with the assembly of this dedicated in-house team, we have the resource to maintain our commitment to achieving the very best standards and quality for our clients.